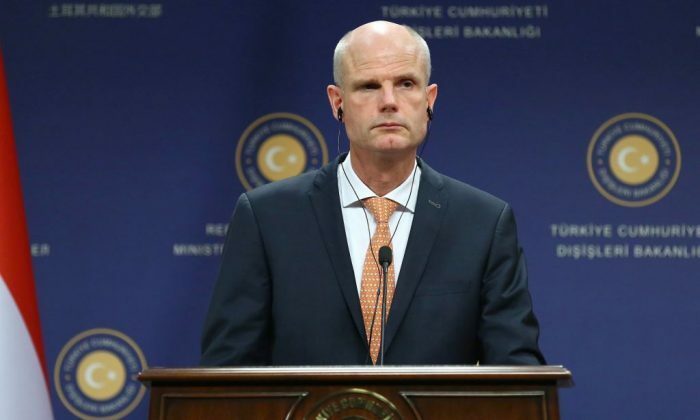 Two weeks ago, Dutch Foreign Minister Stef Blok blew the whistle on the Iranian regime, accusing it of hiring local hit teams to assassinate prominent Iranian dissidents living in Holland. Ahmad Mola Nissi, 52, was a leader of the Arab Struggle Movement for the Liberation of Ahwaz, a group that seeks to create a breakaway Arab province along Iran’s southern border with Iraq. He was leaving his house in The Hague on Nov. 8, 2017, when a man emerged from a BMW and shot him dead at his front door. Two years earlier, in a similar shooting, Ali Motamed, 56, aka Mohammad Reza Kolahi, was gunned down near Amsterdam. The Dutch police have jailed two members of a notorious Amsterdam gang in connection with Motamed’s murder. Blok didn’t just hint at Iranian government involvement, he spelled out in some detail a far-flung criminal conspiracy that led the European Union on Jan. 8 to impose sanctions against the Iranian Ministry of Information and Security (MOIS), freezing its assets in Europe. In a letter to the Dutch House of Representatives, Blok revealed that the Dutch General Intelligence and Security Service had been investigating the Iranian regime’s criminal conspiracy to murder dissidents in Europe since 2015. He also explained that the previously mysterious expulsion in June 2018 of two Iranian diplomats from Holland was related to the wave of assassinations. The Dutch shared intelligence gathered during their investigation with other European intelligence agencies that helped thwart terror attacks in Denmark and France last year, Blok revealed in his letter. In July 2017, Belgian police arrested two Iranians in possession of 500 grams of TATP, a homemade explosive, as well as a detonator, and charged them with conspiracy to bomb the opposition Mujahain-e Khalq in Paris. An Iranian diplomat posted to Vienna, was arrested while visiting Germany in connection with the same plot. In September, Denmark dramatically closed its international borders with Germany and Sweden in an effort to apprehend a suspect in another assassination plot, and in October, a Norwegian citizen of Iranian descent was arrested on suspicion of aiding an unnamed Iranian intelligence service to “act in Denmark,” the country’s intelligence chief told reporters. For all the drama of these arrests—and the murders themselves—European politicians have remained quiet until now. Blok’s “J’accuse” is the first time the Iranian regime has stood accused of successfully murdering dissidents since the late 1990s, when a former top regime intelligence official, Abolghasem Mesbahi, provided compelling testimony in the Mykonos murder trial in Germany directly implicating Iranian regime leaders. Until Mesbahi came forward with insider information on the special committee formed of top regime officials that approved the assassinations, Germany and others in Europe did nothing to punish the Iranian regime for the murder of more than 200 dissidents across Europe. After the Mykonos trial, the European Union severed diplomatic relations with the regime and expelled Iranian government ambassadors for eighteen months from Europe. Will the Europeans act more forcefully today than they did through most of the 1980s and 1990s, as Iranian regime hit teams gunned down dissidents at will? The lure of profits from Iran is strong. Companies in Germany, Britain, Italy, and France constitute powerful lobbies that have sought protection from the European Union against U.S. sanctions for their continued business in Iran. And many European-based dissidents I have spoken with complain that the Iranian intelligence services roam the streets at will, conducting acts of harassment and brazen surveillance against them. Some of these dissidents single out the German intelligence services for its close ties to Tehran, and its willingness to share information on their whereabouts and movements with MOIS operatives in Germany. During his Middle East tour last week, U.S. Secretary of State Mike Pompeo announced that the United States and Poland would co-host a two-day summit next month in Poland to discuss Iran. The summit, expected to bring together diplomats and leaders from 70 countries, is expected to focus on Iranian regime terror operations, as well as its missile and nuclear weapons programs. 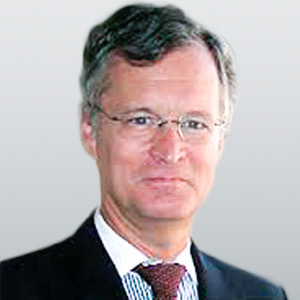 Europe needs to join the United States in taking a tougher stand on Iranian regime terror. For starters, they need to crack down on the Iranian intelligence networks that roam the streets hunting dissidents at will. They know who they are. It’s time for the Europeans to catch them and expel them before they act, not after they commit murder. Next, Europe needs to acknowledge that the Iranian regime presents a clear and present danger not just to countries in the Middle East, but to Europe and the United States as well. They need to join the United States in sanctions that isolate the regime diplomatically and cripple its financial resources. Ironically, the summit in Poland will coincide with the 40th anniversary of the Islamic terror regime takeover of Iran. If Pompeo succeeds in rounding up a posse, it could be the last of these anniversaries of darkness. Kenneth R. Timmerman is the best-selling author of “ISIS Begins” and was a member of the national security and foreign policy advisory board of Trump for President. He was co-nominated for the Nobel Peace prize in 2006 with Ambassador John Bolton for his work on Iran.